Ground Zero is quite probably one of the best hip hop tracks to emerge so far this year. There’s something consistently impressive about the way Quintin Tarintinto writes and performs, and generally just the way this particular soundscape flows through. While everything feels fairly delicate and chilled out, there’s a flawless sense of rhythm to the whole thing. 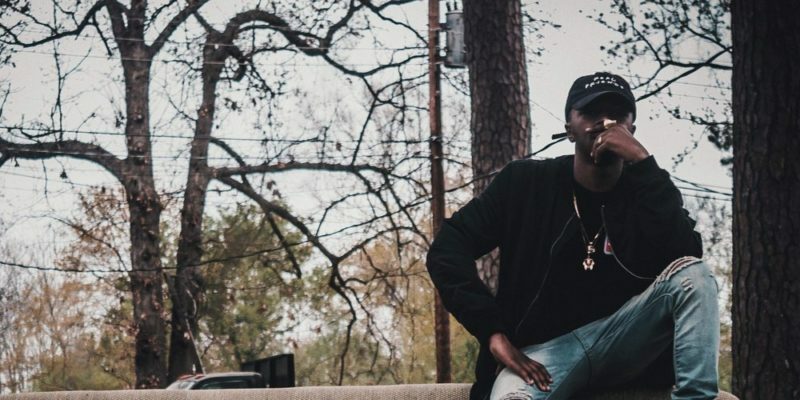 The artist has a way with his rap delivery that lets it feel melodic when it’s not. Those verse lines start on a higher string of notes and seem to fall back lower at the end of each phrase. There’s character to the sound, the vocal performance is precisely this – a performance. Not imitating anybody else, not merely reading through lyrics – there’s an unlimited level of entertainment to the entire thing. It’s an addictive song, that flow and the way these lines are arranged seems so simple yet brilliant. Furthermore, the lyrics are high quality – intelligent observations paired with honest reflections on life and relationships. The whole thing has a great groove about it from the offset, but to throw in some smart writing along the way adds even more value and makes it highly likely the average listener will return for more. Thus that fan base is almost certain to be building increasingly over the coming months. Elsewhere within the No Self Pity EP – expect more of the same level of skill and personality. There’s something refreshingly artistic and satisfying about this approach to songwriting and indeed to hip hop – the genre doesn’t confine, but rather, it offers a runway; from which committed and capable artists can take off into any realm of music they choose. This song is a great example, an ambient and calming piece of music with a superbly rhythmic vocal performance and story-line running alongside. A stunning release, absolutely worth the time it takes to listen. Stream the music on Spotify. Find & follow Quintin Tarintinto on Instagram.